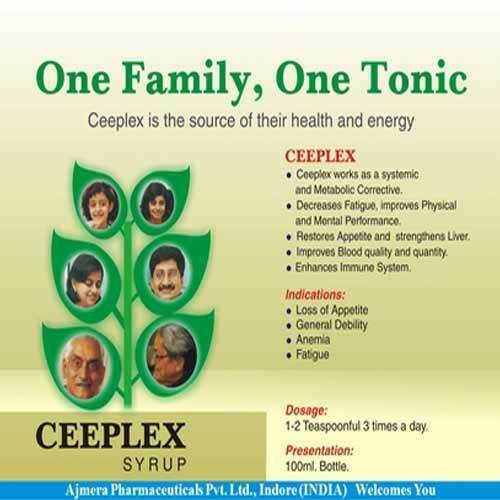 The use of Ceeplex Syrup helps in getting energy and health. The regular use of product helps in restoring health. Apart from these they are also helpful in improving the quality and quantity of blood. They are helpful in getting the immune system strengthen and also liver problems. The products are helpful in improving mental and physical performance. Ceeplex works as a systemic and Metabolic Corrective. Restores Appetite and strengthens Liver. Dosage: 1-2Teaspoonful 3 times a day.